The Monogatari series — both in the light novels and the anime — is known for its verbosity. This is why the Kizumonogatari movies were so novel to me. 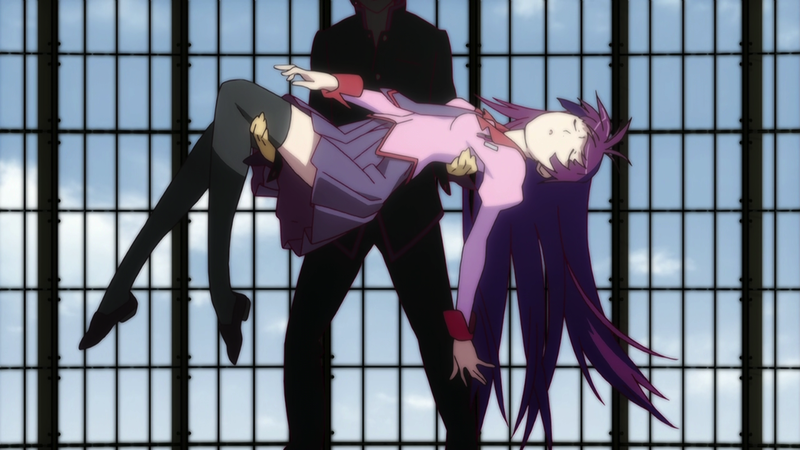 Nearly all of their storytelling was done visually, removing the Koyomi Araragi monologues and narration that define the Monogatari series. Hiroshi Kamiya’s voice permeates the series, and even later installments of Monogatari Series: Second Season feature monologues from the series’ beloved heroines. 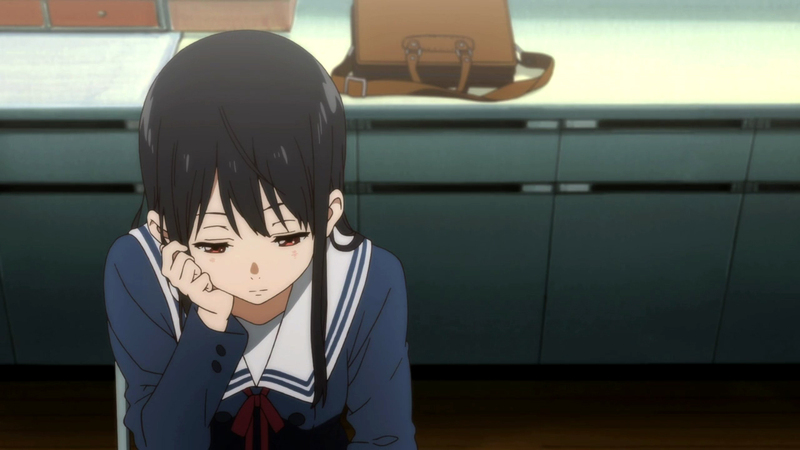 Something stinks about Kyoukai no Kanata, and I love it. From the very first scene, and opening lines, Kyoukai no Kanata is everything that your delusional teenage self wrote down in your not-so-secret diary to combat your own isolation and awkwardness. It tells its story with the same gravity that you would have given it at that age, with the straightest of faces and the burning desire to impress. Akihito Kanbara is an immortal half-demon – in spite of the his claim that there is nothing special about himself – whose only companion is Mitsuki Nase, the beautiful childhood friend who is also the president of the Literary Club. Cue the incident that changes his life forever, which also involves a cute girl. Oh, and she’s special as well, because she fights demons.